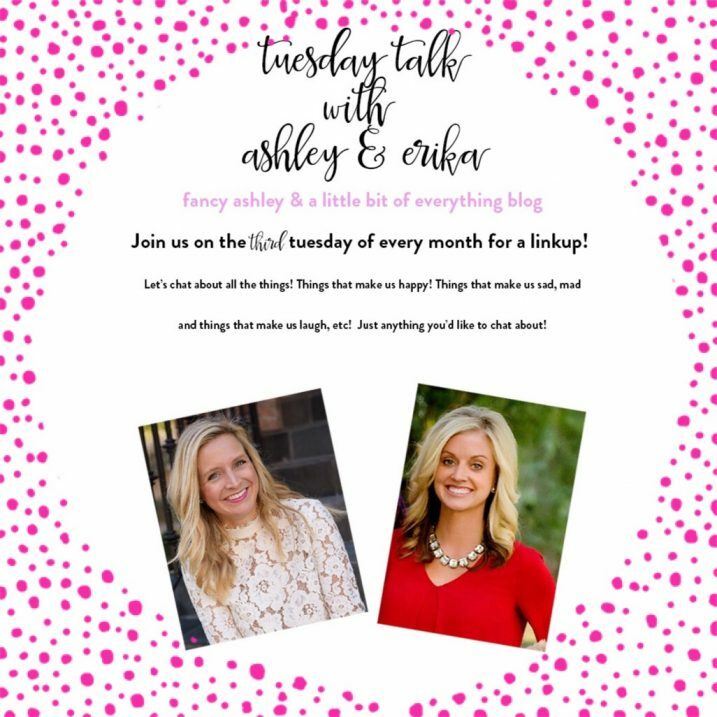 Today we are going to talk about a wonderful organization, Changing the Face of Beauty. Why? 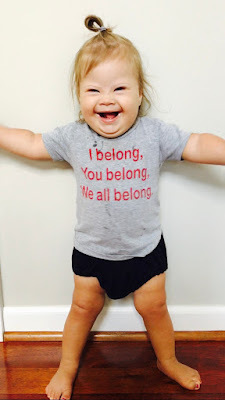 Well, this month we celebrate Down Syndrome Awareness.....something very close to my heart. I have talked about my sister Emma often here on the blog. 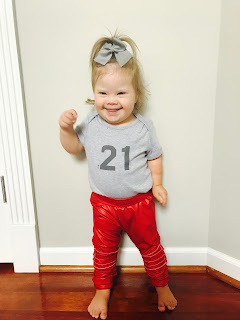 Back in March, I shared Emma's story here for World Down Syndrome Day. If you missed it, you can catch up here. The morning I shared that post, I received so many beautiful comments & people wanting to share her story. I also discovered one of my favorite local shops, Research & Design was selling a tee to raise money for DS Awareness. I ran right over to grab one. 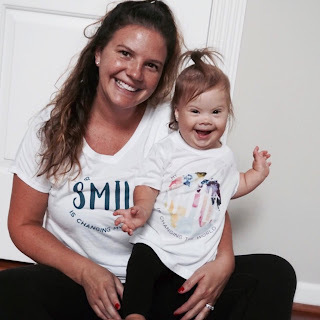 We met at the local Step Up for Down Syndrome walk last month and talked about collaborating on a post during this month. 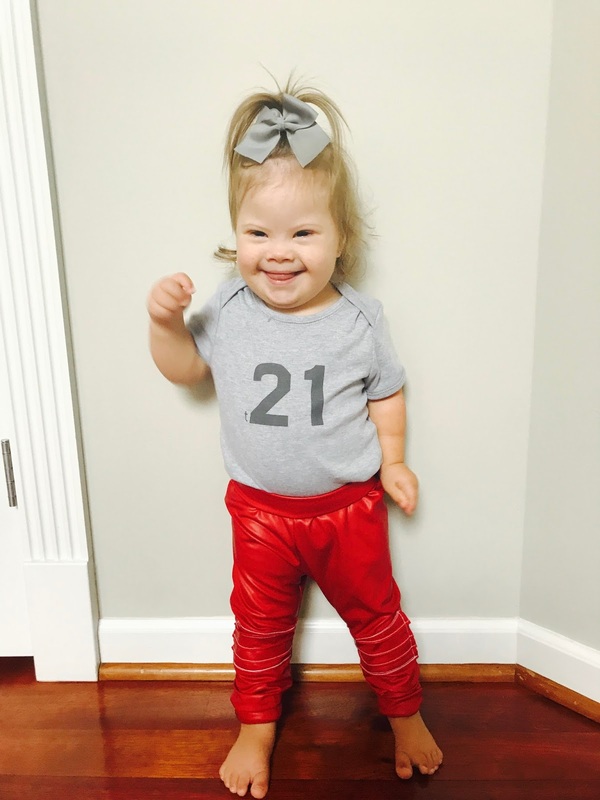 It seemed the right time, as we are celebrating World Down Syndrome Day all month, Shea is turning 18 months today, and the Buffalo Electric Tower will be lit up in blue and yellow this weekend to help celebrate. Shea is an ambassador for Changing the Face of Beauty. This organization is a nonprofit corporation that is committed to equal representation of people with disabilities in advertising and media worldwide. Let me tell you, my cheeks hurt from smiling with this girl. She gives you a little side eye and then the sweetest smile. And don't even get me started on her cheeks. I have become friends with her Mama, Julie, who is very passionate about Changing the Face of Beauty. She wants people of all abilities represented in advertising and social media. CTFOB is helping to do just that and has accomplished so much in their short 5 years. I think Shea's shirt sums it up perfectly. Are you kidding me with these leggings??? I love how passionate Julie is to bringing more sweet faces like Shea's to advertising and social media. She partnered with a local shop to design a shirt for Down Syndrome Awareness month. Head over to MintBerry Market to grab yours....they are donating a portion of every sale to CTFOB. These girls' shirts sum up Shea's mission...... "My smile is changing the world". Yes, Shea.....it sure is. Friends, be sure to share this post and help us to Change the Face of Beauty. Love this! So beautiful indeed! And she is beautiful. Her mama too!